As of publication, we are waiting on additional clarification / commentary from Behringer. In the meantime, we have the statement below, though it leaves some questions. Yesterday, Behringer for the better part of the evening German time published complete product specs for drum machines and synthesizers, across multiple categories on their public website. That included references to a wide array of products from the KORG MS-20 to the Roland 808 and 909 to ARP 2600 and various other historical models. Sorry, assume a few people spit coffee on their computers there. “Automated backend system for our websites”? The “concepts” portion suggests at least that these products weren’t just a joke or prank, but at least somehow related to ideas the company was fielding. What’s unclear is how these arrived on a public site – or whether this was a genuine error (as in someone getting unauthorized access to the site) or an intentional experiment in generating buzz and finding out what users thought. This line we’ve heard before, too – that Behringer appears to view teasing products as a kind of trial balloon for measuring demand. The difference is, in the past, at least, they said that was what they were doing – they didn’t do it via a staged site bug. Let’s talk about why this is problematic. Fake news? Fake drums? 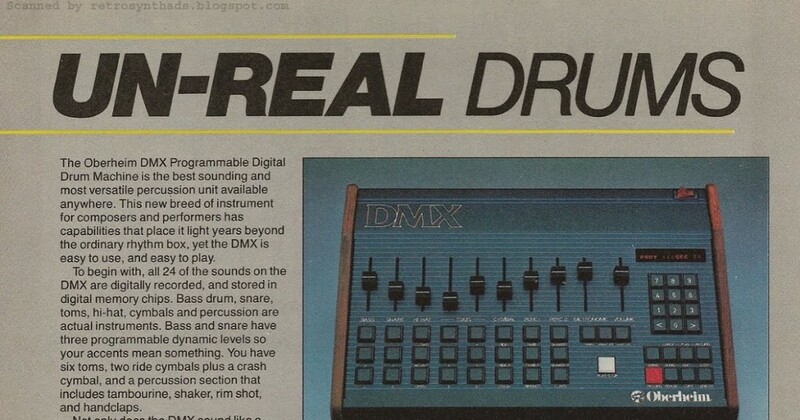 Real Oberheim… Retro Synth Ad. Behringer are being disingenuous in their communication. More bluntly: it’s very likely that they’re flat-out lying – or at least being tongue-in-cheek about this whole thing. Sure, it’s possible they keep product planning documents in the content management system they use for the site. And maybe then they use the production server for the task rather than a backup. And maybe they somehow automatically, accidentally published that same content to a production server publicly. Though, if that sequence of events actually happened, uh, to the Web team … wow. If unintentional, products in planning finding their way onto a public site is suggestive of a major failure in Website administration, either in the form of catastrophic carelessness or the site being compromised (and then left in a compromised state for a considerable time). This encourages customers to delay purchasing competitors. This isn’t just about getting buzz. By hinting that Behringer will have low-cost alternatives of stuff users want, the brand can encourage customers to hold off purchasing shipping products from companies like KORG, Roland, and Moog. It can also discourage development of competing products, particularly as smaller manufacturers (think boutique Eurorack) can’t compete with Music Group’s economy of scale and entire Chinese factories. Specifically teasing recognizable products (KORG, Roland, etc.) targets those competitors even more explicitly. And there’s anecdotal evidence to think there’s harm there, based on impressions on forums and comments. Even if that isn’t the case, retailers read those same threads, and this can spook them. Uli Behringer’s extended rants about value and price, which imply (I think unfairly) that competitors’ products should be cheaper, also contribute to an atmosphere that can be discouraging to competition and product development. 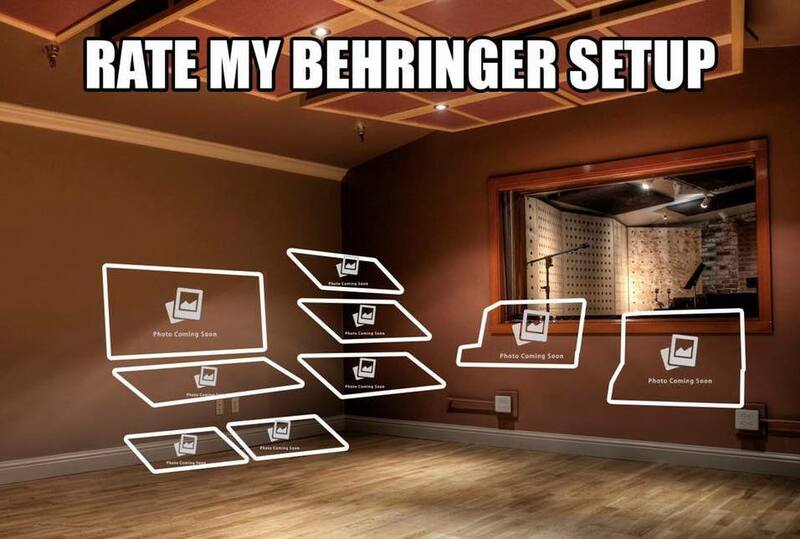 Behringer are hurting their own relationship with customers. I actually would encourage those same competitors to focus on this. Behringer are now over-promising in a pretty fantastic way. If they don’t ship this stuff, customers are likely to be disappointed with Behringer, not other companies. They’re still not shipping their Model D. Way back in March, Behringer were promising a low-cost Minimoog clone. But that clone still isn’t shipping, or seen on the site here – a fact not lost on social media (or CDM commenters). Well, there’s at least a date. Music Store in Germany is now taking preorders for the Model D at 349 EUR – with a ship date estimated for 16th of January. Just don’t read too much into this. This understandably has generated a lot of buzz in December, a lull during which most manufacturers are focused on holiday sales, with product announcements mostly paused until late January. But I think most people wanting a new drum machine, or a Roland Boutique, or KORG’s ARP recreations, or new Eurorack modules, on down the list are likely to go ahead and invest anyway. I think the relationships between those brands and their customers – from the Japanese giants to the one-person Eurorack boutique makers – are safe, too. If this was (improbably) a mistake, Behringer, fix it. If it wasn’t, well – yeah, expect some of us to question your intentions. Exclusive reader contest! What’s the most “embarrassing” thing you recently posted to a Website “accidentally” that just happened to make it unintentionally look like some sort of awesome things were happening in your future? Sound off in comments! Let me be clear: I don’t think there’s any revelation here. The only absurdity is that Behringer have the hubris to suggest that this stunt was a mistake – and to continue to tease products further out on their roadmap when they still haven’t got a ship date for the product for which they got the most buzz in 2017 (the model D, which was announced way back in March). Updated: We have unconfirmed sources that suggest the entire incident may have been a prank or otherwise involved unauthorized access to Behringer’s website. If I can confirm those sources, then yes – there’s egg on my face, twice over (both in conveying the news, and in ranting that this was a publicity stunt). For now, though, it’s hard to fit that narrative to what happened, given that it would involve considerable access both to product information and site administration. Time will tell. In the meantime, we await commentary from Music Group.